Are You Selling People, A Product or A Process? If you are selling a service then the process around its sale and delivery is especially important. But an important question for any business to ask is ‘Are you selling people, a product or a process?’ Too often it is people, or product, with little attention given to the process that underpins it all. A company selling IT support to Data Centres then your unique value-adding process could be around how you audit compliance, energy, reliability and performance. A Wealth Management Practice could have a unique valued-adding process around helping clients to create a financial plan and vision and bring it to life. A recruiting company could have a unique value-adding process around helping to ensure the fit of candidates with client positions through role definition and behavioural profiling. Putting a unique customer engaging and value creating process at the core of your business could add greatly to, not just its sales success, but also its value proposition. The process itself could be what your customers pay for next year – that would be a real indicator of its value. Ideally your sales process should be a clear point of differentiation between you and your competitors. This is particularly important in commoditized markets. Test: How ‘customer-engaging’ is your sales process? The first generation of sales process was about greater visibility, predictability and control. The next generation must focus on engaging the customer more deeply. That is at the core of sales success in modern age. Here is a test of just how customer-engaging or value–creating your sales process is. See if you agree with the statements listed below. 1. Our sales process adds real value for the customer – it ensures that the customer gets a lot out of engaging with us. 2. Our sales process helps the customer to bring new creativity to solving their problems. 3. Our sales process brings about new thinking on the part of the customer – it results in new insights and break-throughs. 4. Our sales process creates a high-trust environment in which the customer really opens up and engages with us. 5. Our sales process is centred on helping the customer to clarify and create their vision of success. 6. Our process results in meaningful high-impact conversations with the customer. 7. Our sales process packages up the accumulated knowledge and wisdom of our organization (or the salesperson) and makes it accessible to customers. 8. Our sales process is effective at positioning the salesperson as an expert, consultant and trusted advisor. 9. Our sales process helps the customer to confidently make a decision as well as to build a clear and compelling justification for the purchase. 10. Our sales process is aimed at addressing customer fears and concerns, including, risks, uncertainties, conflicting requirements, trade-offs, and so on. 40-50: Your sales process actively engages the customer. 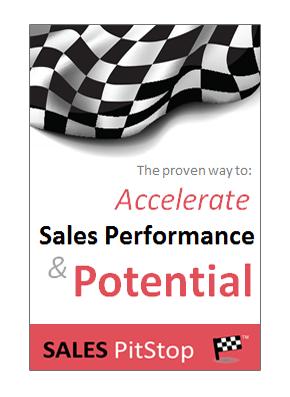 It is a competitive weapon and directly contributes to your sales success. 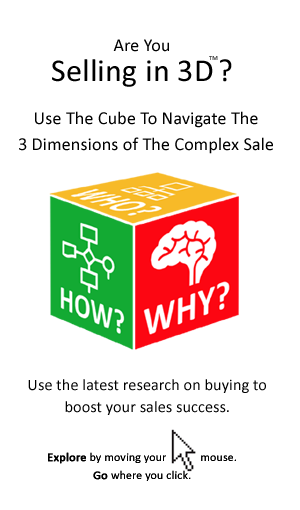 30-40: Whether your customers really open up and engage depends on the style of the salesperson, rather than the design of your sales process. That means engagement does not always happen and sales shocks and surprises can result..
0-30: Your sales process does not really help you sell and offers little to the customer by way of value, problem solving or relationship-building. Indeed it may be limiting your sales success.